Get ready to experience a wilderness fishing experience at it’s best…with great Walleye and Northern fishing in a pristine setting. It starts at Ear Falls, Ontario where we will fly you by float plane to Shabu Wilderness Outposts on beautiful Shabumeni Lake. We have the lake, we have the facilities and we have the wilderness fishing experience of a lifetime ready for you to discover. So start planning your wilderness fishing adventure today at Shabu Wilderness Outposts. Thanks for giving us the opportunity to make your next vacation a truly memorable experience. 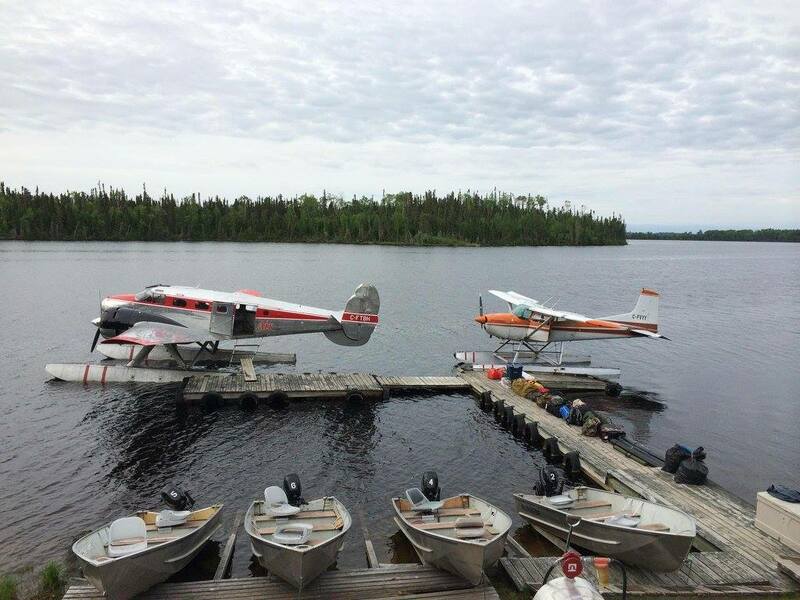 Come experience Shabumeni Lake, fly-in wilderness fishing at it’s best at Shabu Wilderness Outposts, located 60 miles northeast of Ear Falls, Ontario Canada. Shabumeni Lake is 13 miles long with two inlet rivers and one outlet river that provide you with great early season fishing. Along with countless bays and islands, there are numerous deep water reefs for excellent warm weather fishing. The outpost is situated on a hill overlooking the pristine beauty of Shabumeni Lake and can accommodate up to 12 people. The camp has solar powered lights with hot and cold running water, showers, gas BBQ grill, propane fish cooker, wood burning stove , propane cooking stove, propane refrigerator and a fully equipped kitchen. The outpost also has an emergency generator, screened-in fish cleaning shed with running water, a large deck, boats/motors and everything you’ll need to have a great wilderness fishing experience. 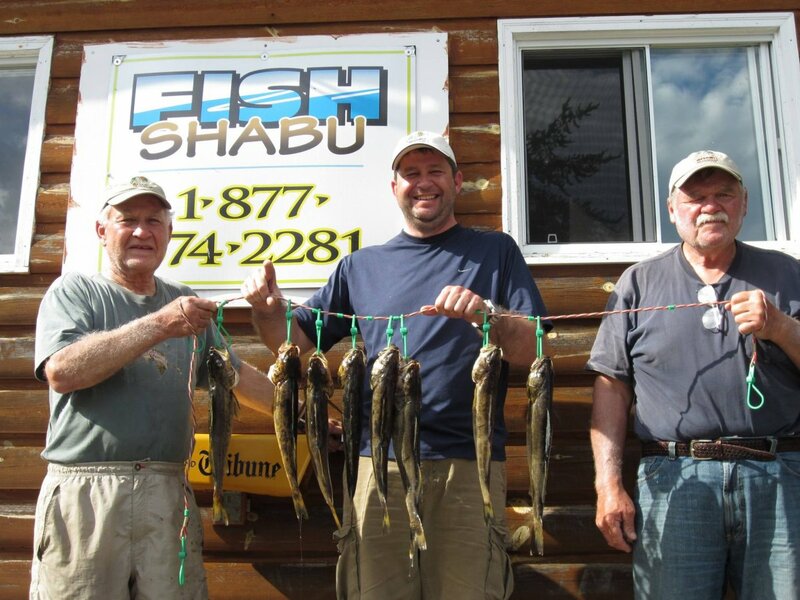 Endless fishing at Shabu Wilderness Outposts starts at Kay Air Base, located on Lac Seul, in Ontario Canada 55 miles north of Vermilion Bay (intersection of route 17 and 105). Look for the sign on the right side of the road. (including beverages and groceries). Pack food in small cardboard boxes and clothes in duffel bags NOT TO EXCEED 50lbs each. (Please no large coolers or containers). Do not bring what you do not need. Guests will be charged for overweight baggage. 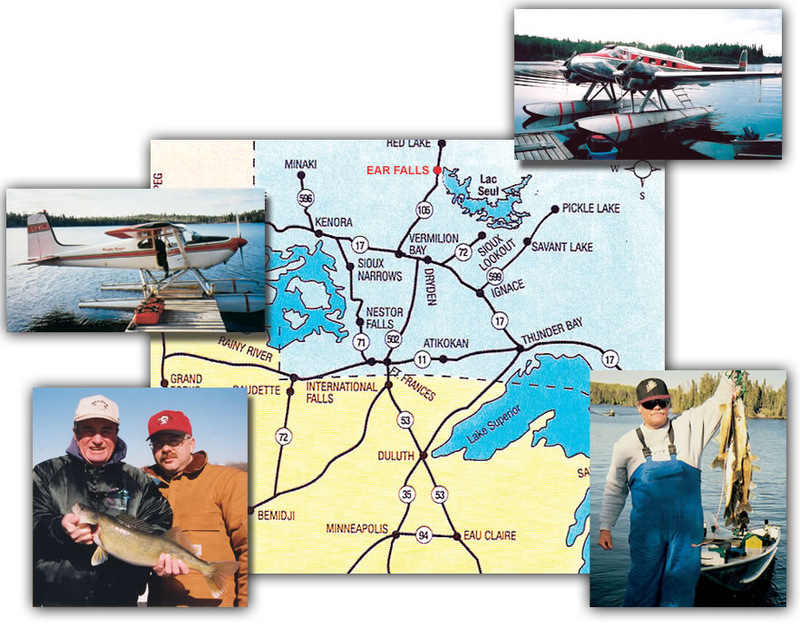 Kay Air Base is located on Lac Seul, 55 miles north of Vermilion Bay (intersection of route 17 and 105). Look for the sign on the right side of the road.